Summertime is almost here! And in Texas, summer heat means tall drinks cooled with plenty of ice. But what do you do if the icemaker in your SubZero or other premier refrigerator doesn’t make all the cubes you need? Older model refrigerator icemakers have an on-off switch that can be turned off with an unguarded hand or body movement. Newer models have a touchpad system that can accidentally be turned off if a finger or something you’re putting into storage brushes up against it. Whatever type of system you have, make sure it’s on. 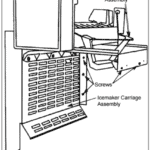 Refrigerator icemakers have what’s called an ice level arm, which senses when an ice bucket has reached capacity and shuts the icemaker off. If the bucket is overflowing, chances are that the arm has been pushed too high. 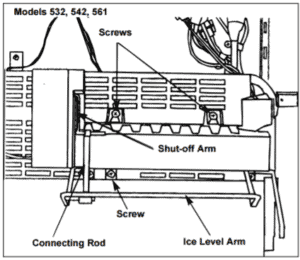 This causes the icemaker to shut off. To fix the problem, simply remove the excess ice from the bucket. The refrigerators that we service have “fingers” that gather ice cubes out of the mold where they’re made. Sometimes, though, these cubes will fall into a position that jams the finger mechanism and causes the icemaker to stop functioning. If this appears to be the problem, just pull the cube out of the space it’s blocking. 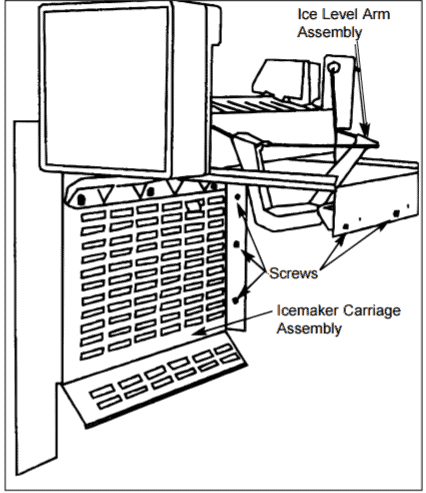 Never use a knife or any other kitchen utensil to unjam the icemaker: you may inadvertently damage the icemaker mechanism. Check the thermostat in you freezer. 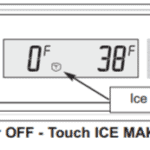 If your thermostat is above zero, set it to freezing (SubZero refrigerators can go down to as low as -5°F). 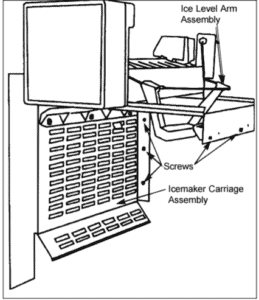 An icemaker can still make ice even if the temperature is a few degrees above 0°F, it won’t be as efficient. Sometimes the problem lies with the water filter, which can either be installed in the waterline or in newer model refrigerators. Over time, filters can get stopped up with enough sediment that the water isn’t able to come through. It’s also possible that the water to your home may have been shut off for a brief time. Returning water flow to normal sometimes stirs up sediment and causes it to break loose, which then causes water filters to get plugged up. To address either of these problems, change the filter. 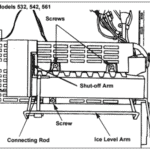 If doing so has no effect on your icemaker, consult with a professional. 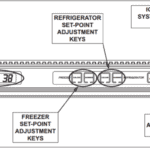 C&W Appliance Service, the only SubZero Premier Partner serving Dallas, Fort Worth, Austin and San Antonio, specializes in repairs for your premier refrigerator. For the care your high-end appliance deserves, contact C&W today!